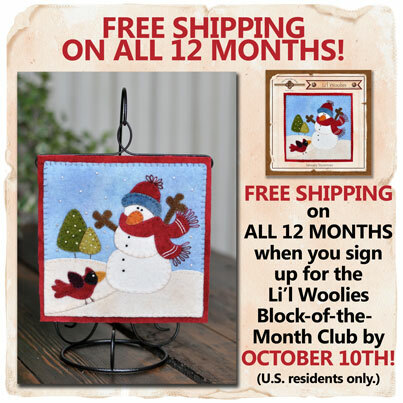 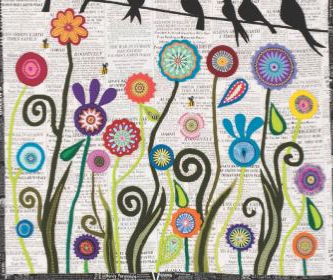 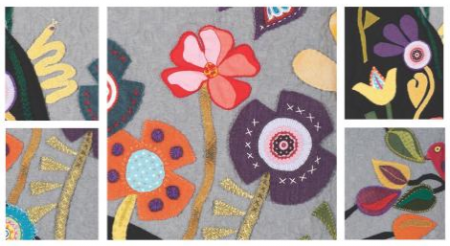 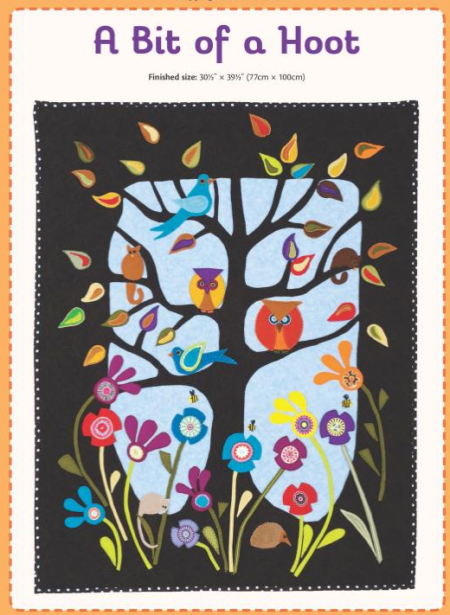 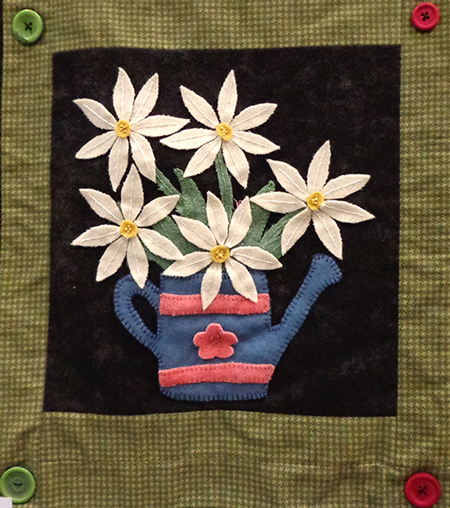 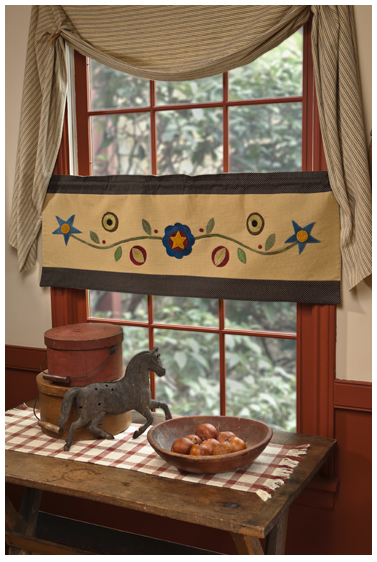 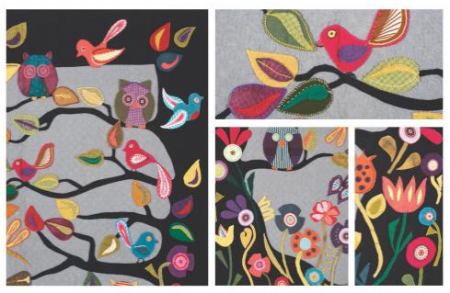 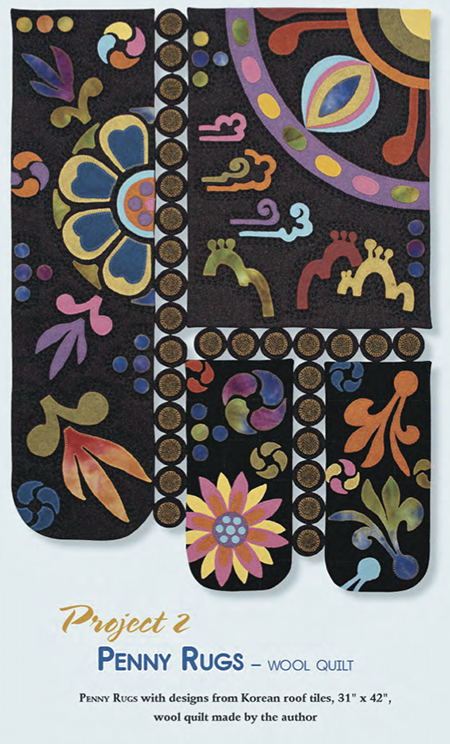 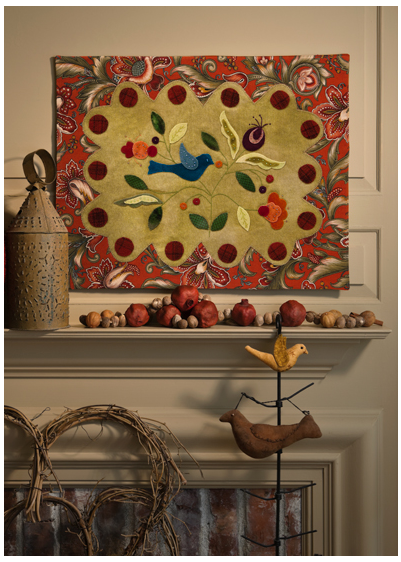 I have always loved folk-art-looking applique. 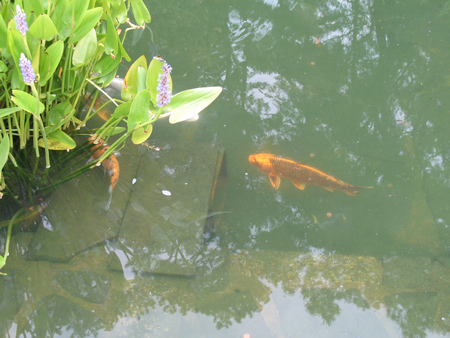 When I try to draw it myself I never quite get there LOL! 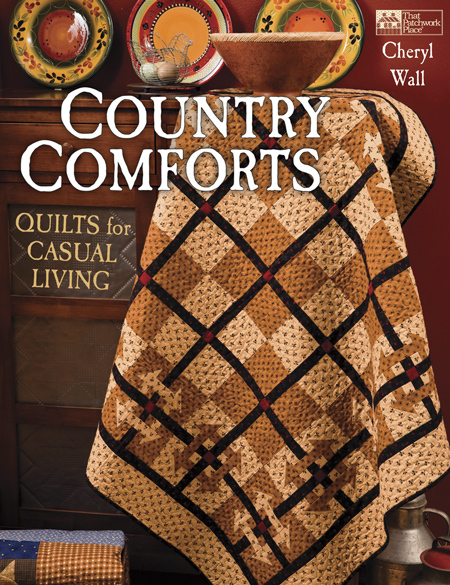 This classic book satisfies the attraction to the primitive look, with designs that are homespun, country, and antique in feeling. 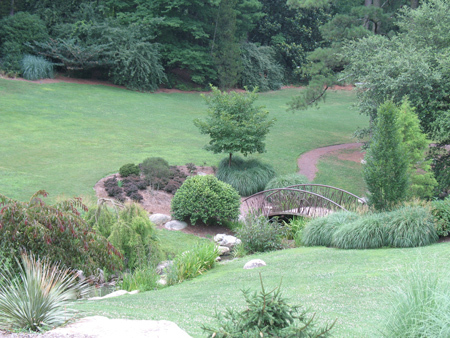 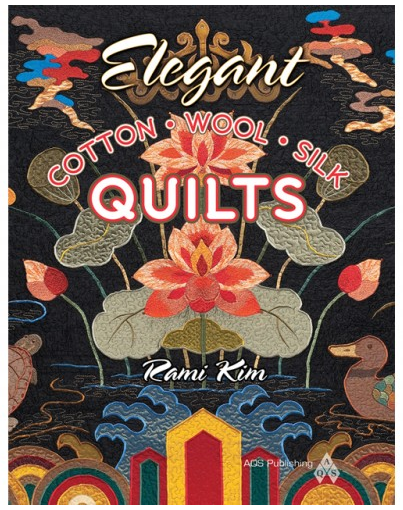 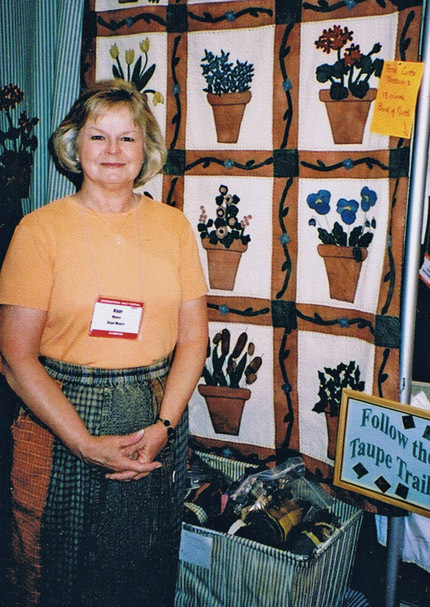 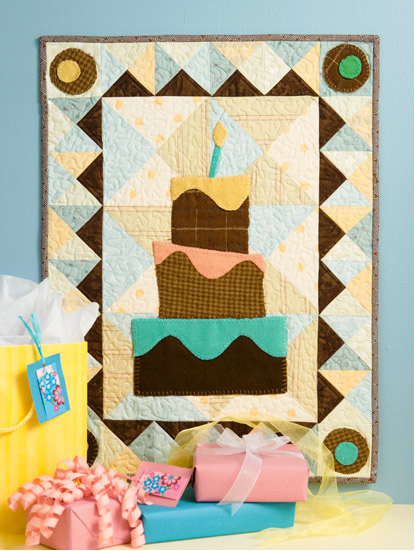 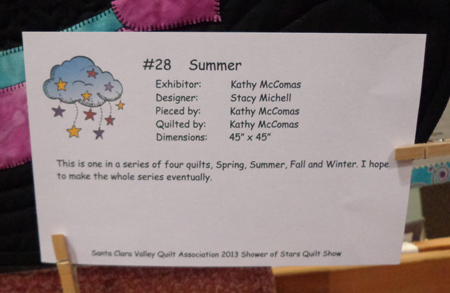 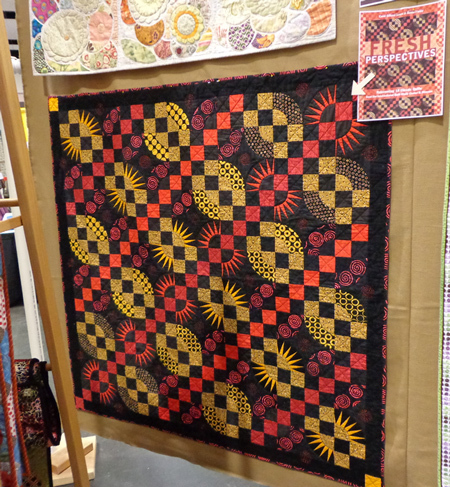 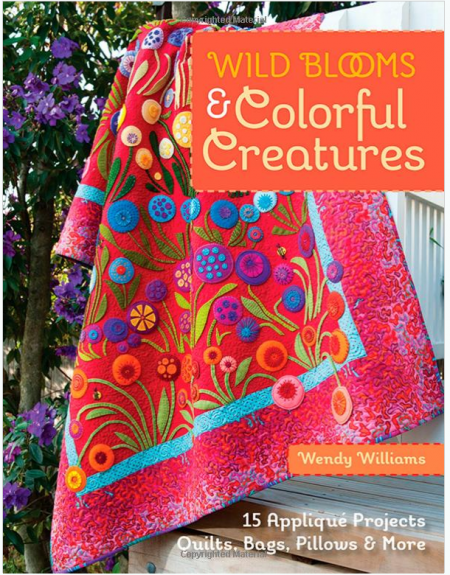 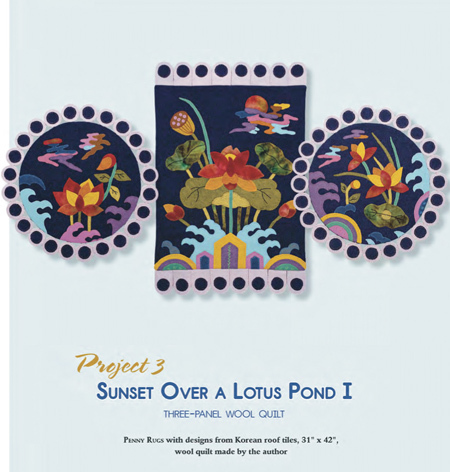 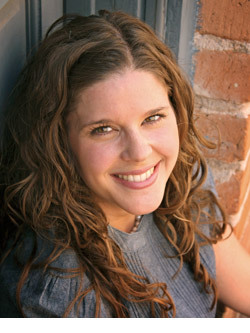 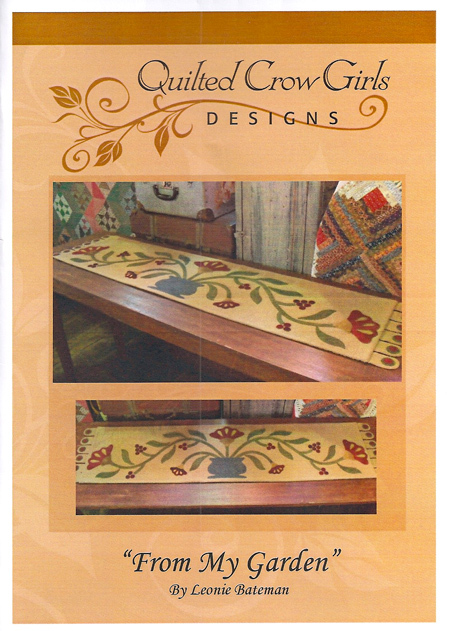 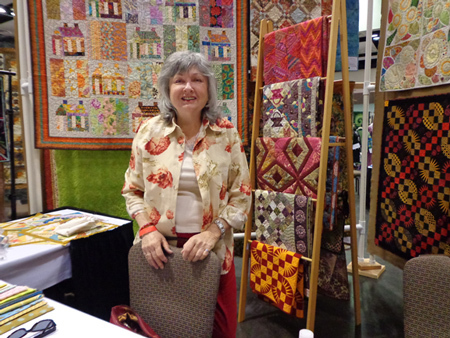 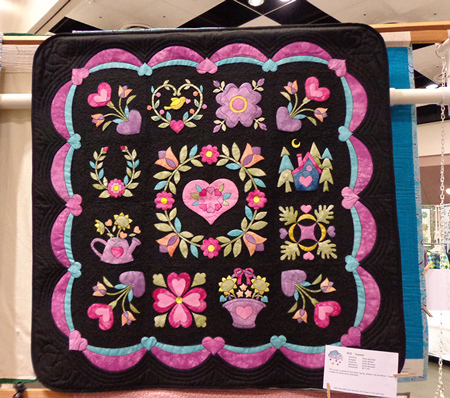 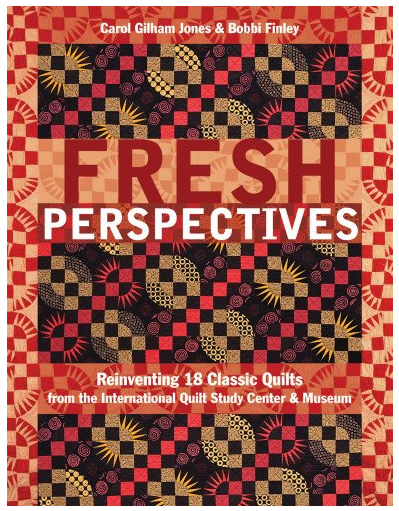 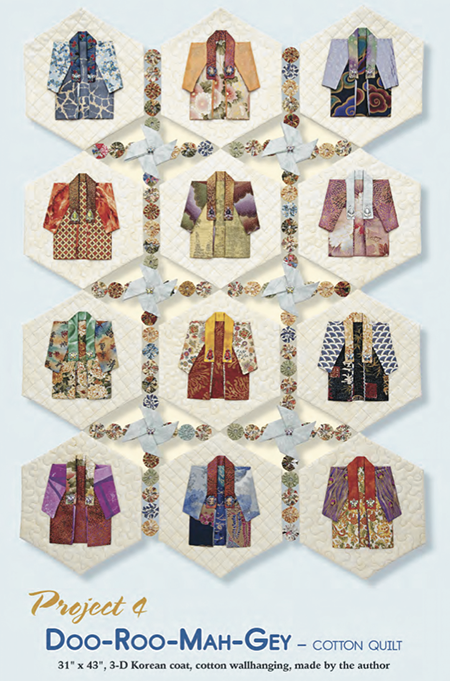 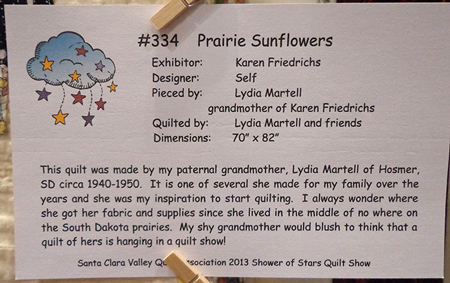 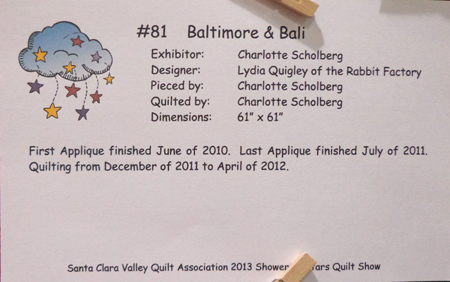 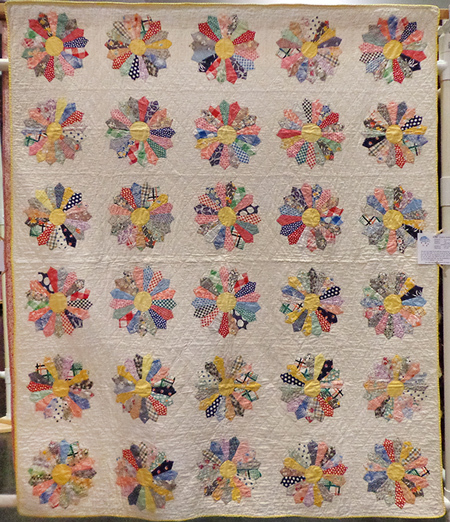 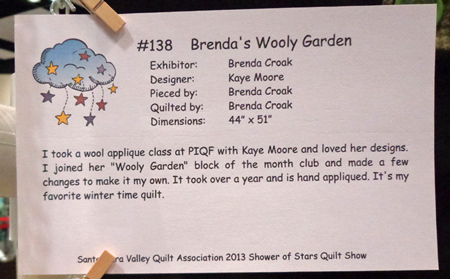 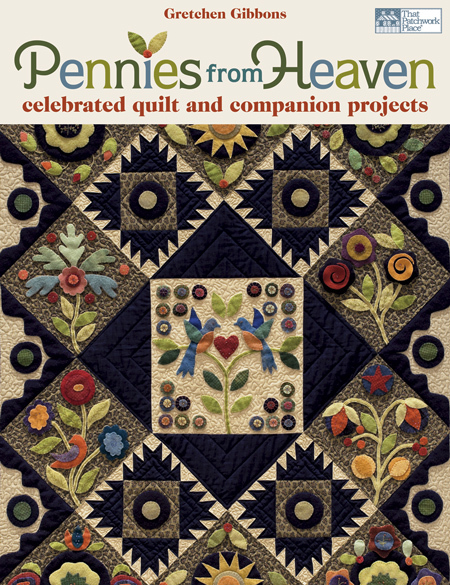 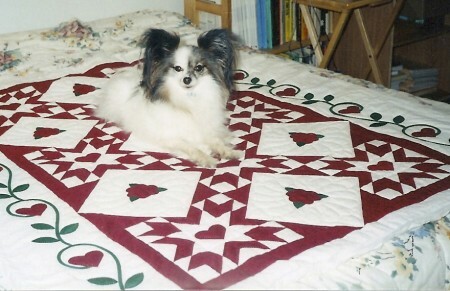 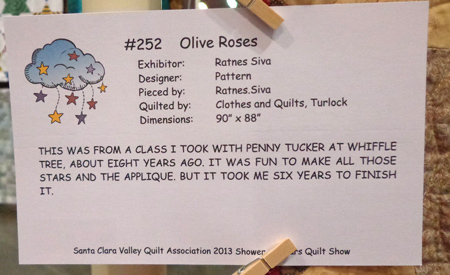 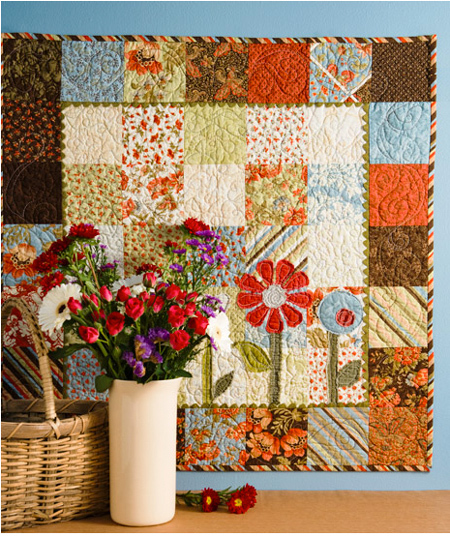 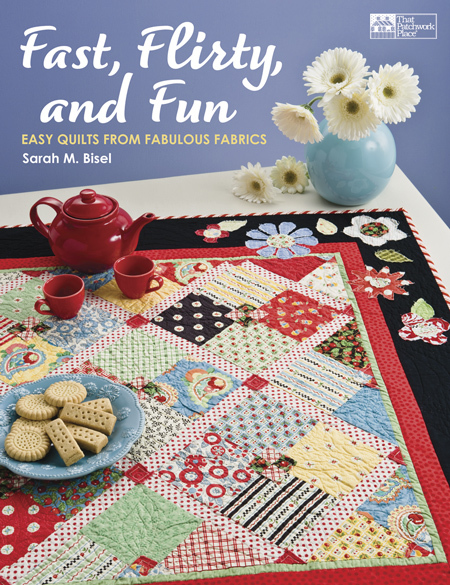 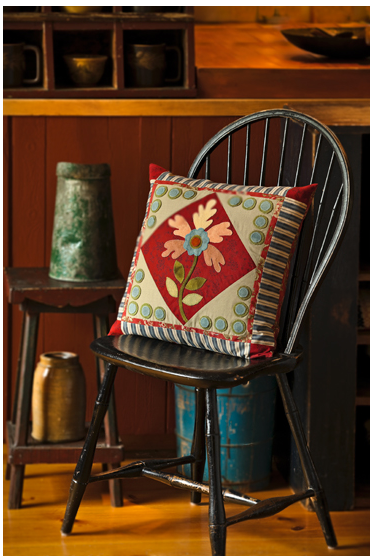 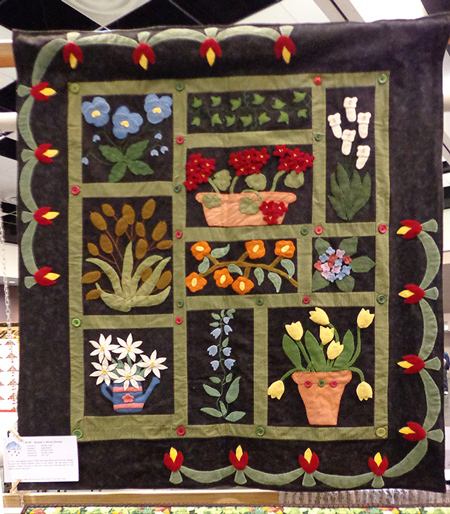 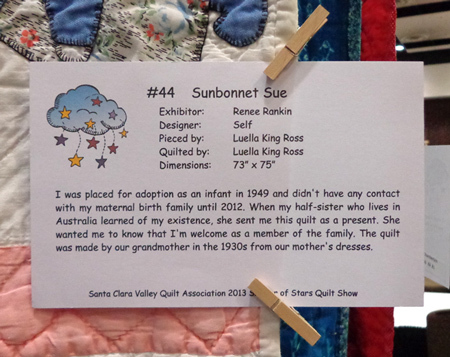 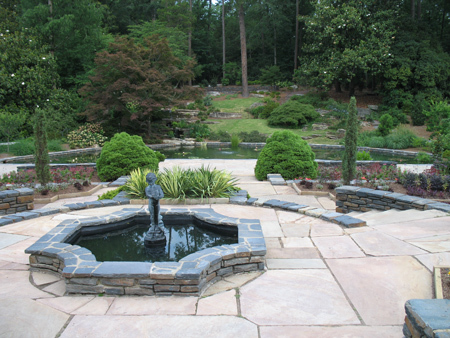 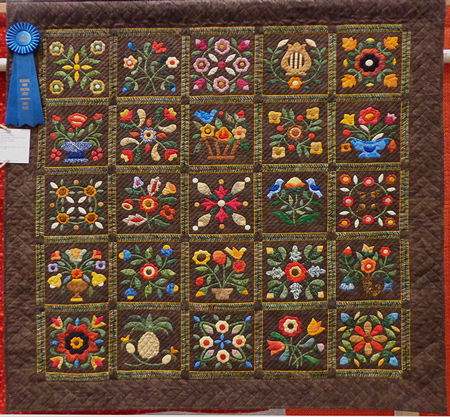 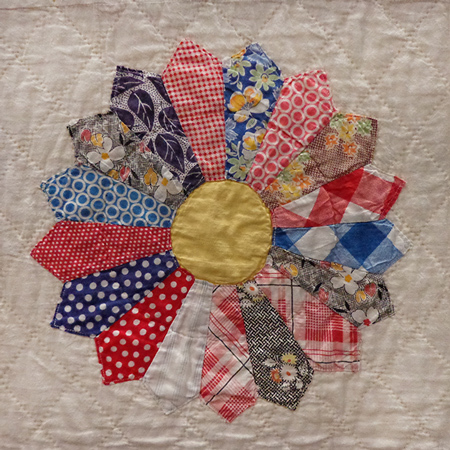 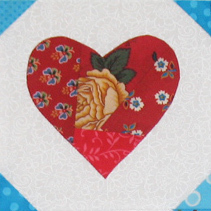 The many projects were inspired by the authors’ love of primitive folk art and antique quilts. 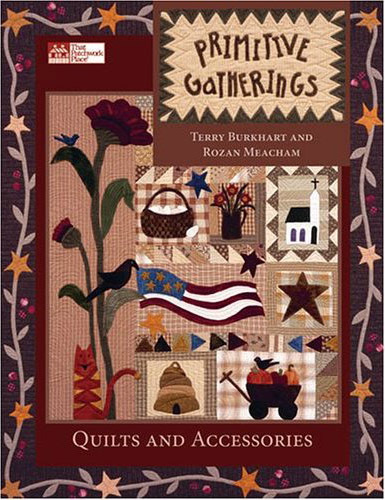 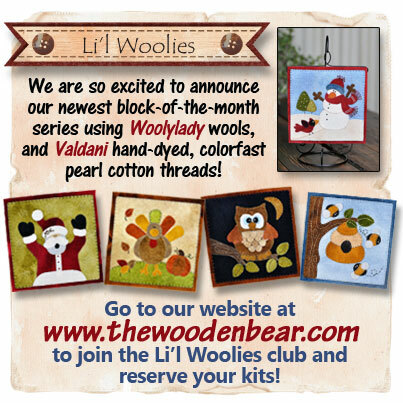 Rozan loves wool, Terry is passionate about quilting. 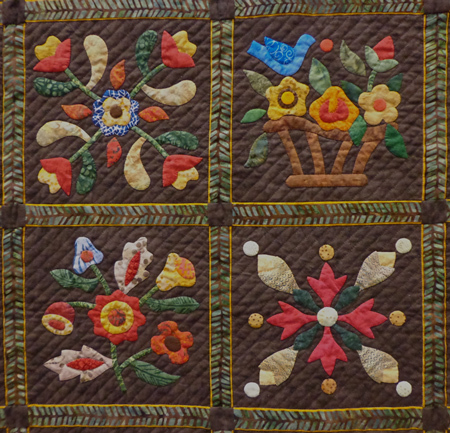 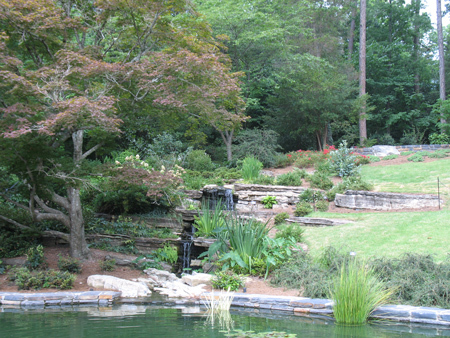 Together they create wonderful projects in the primitive style. 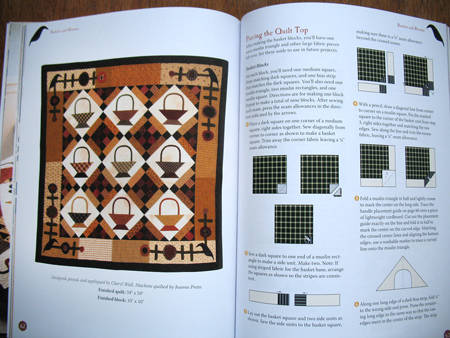 Basic steps are given for wool applique, which of course means no edges to turn under, and several stitching options are illustrated. 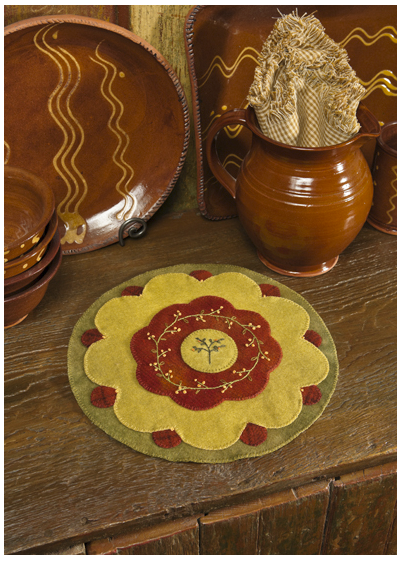 Rozan’s favorite stitch is the whipstitch. 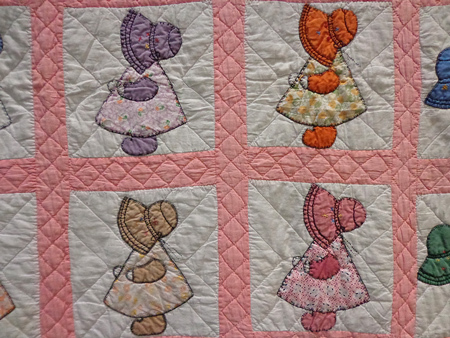 Closeup photos of appliques show how nice it looks. 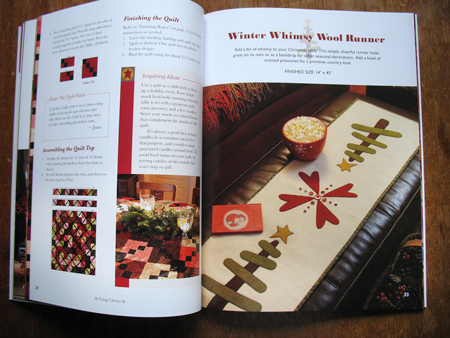 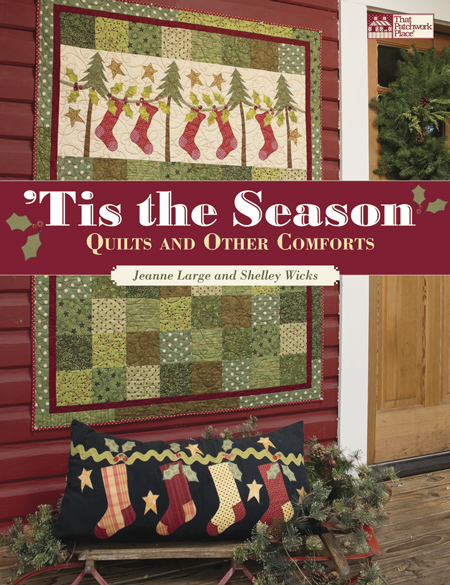 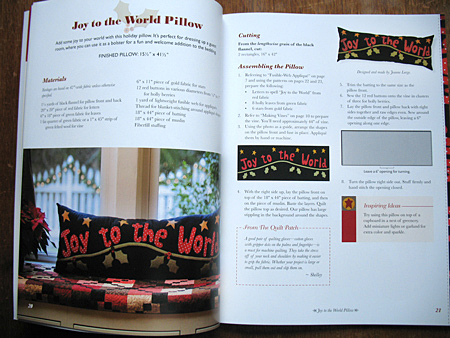 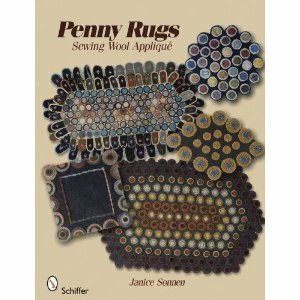 The book’s plentiful projects also include a hooked rug, a rustic embroidered ‘rule sheet,’ a country plaid house quilt with an applique border, a wall quilt with a curvy border that celebrates late summer, wonderful round coasters and a pincushion with needle-felted wool motifs, a nine-patch quilt inspired by the Civil War era, a classic country Hole in the Barn door quilt, and an appliquéd autumn table mat that’s too beautiful to set anything on. 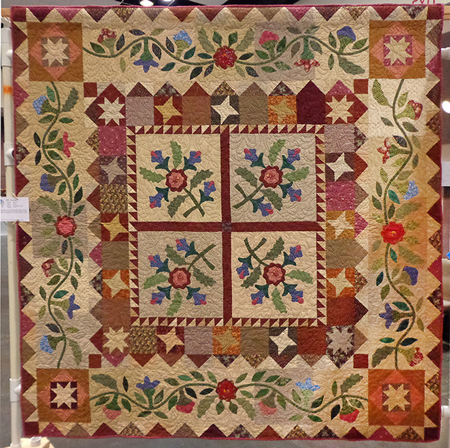 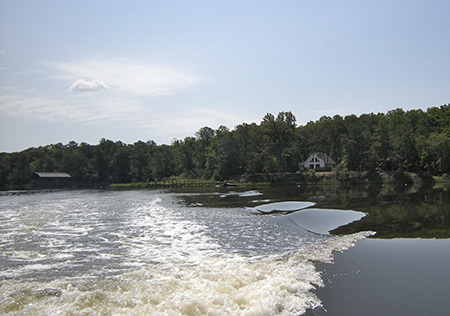 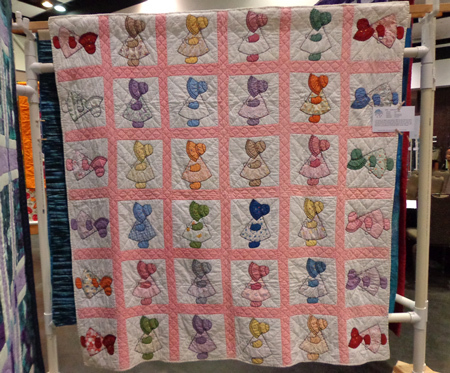 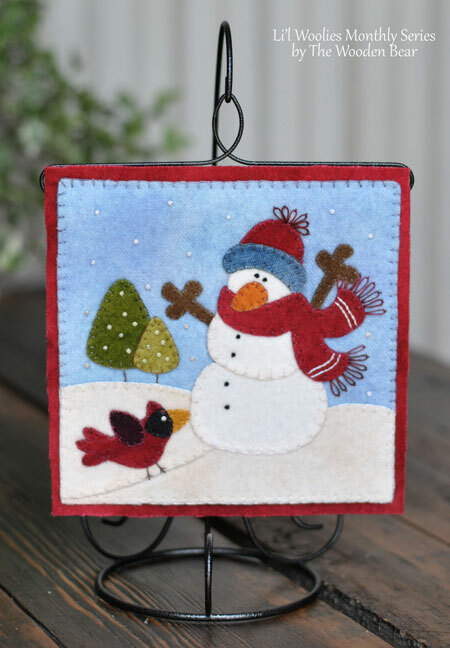 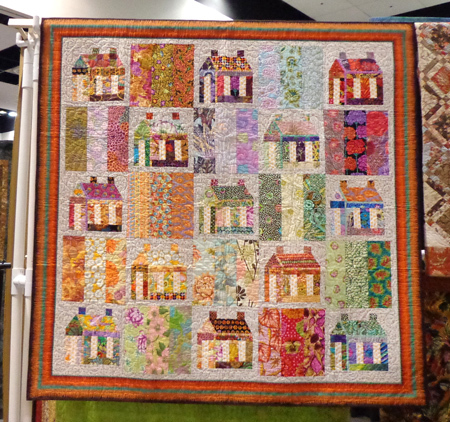 Primitive Gatherings also presents the basics of quilt making, needle-turn hand applique, wool applique, antiquing your stitchery, primitive rug hooking, and needle felting. 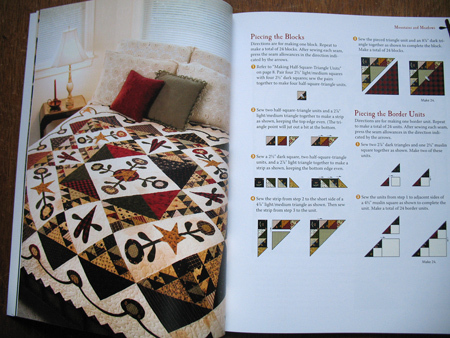 Quite a comprehensive resource for the vintage style!